We were super excited about making this breakfast poutine! It is simple, affordable, and a fun twist on a classic poutine recipe. 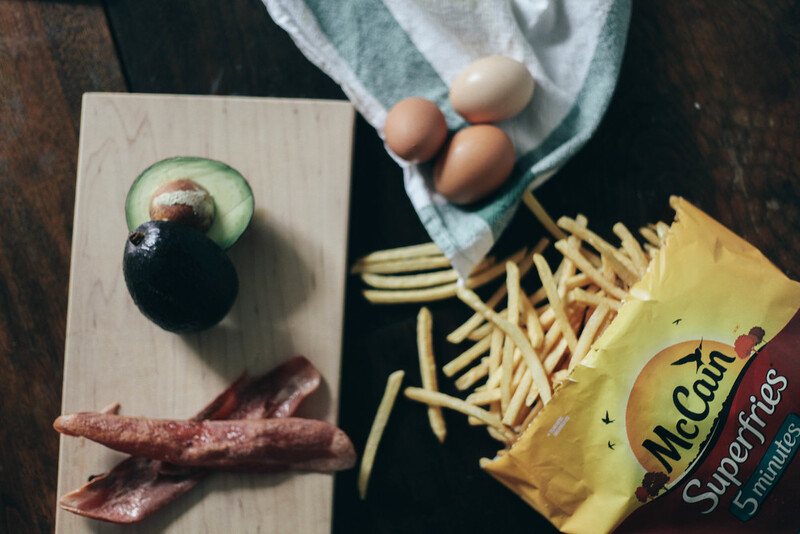 We use McCain 5 minute shoestring superfries for our recipe! Making the recipe with McCain allowed us to whip this up super fast, and it would be a great brunch to serve up to guests! If you make this recipe, be sure to hashtag #modifry and #superfries so we can see what you come up with! There are lots of twists you can make with this recipe, so choose whatever suits your fancy. See more Modifry recipes on the Mccain website here. You can make your own Hollandaise sauce, here are some amazing Hollandaise sauce recipes! This post was brought to you by McCain Foods Canada. The opinions expressed herein are those of the author and are not indicative of the opinions or positions of McCain Foods Canada.